The electric EarthLite Basics Fleece Massage Table Warmer keeps clients warm, comfortable and happy during a relaxing, therapeutic treatment with 2 variable controls that deliver the perfect temperature for every body. 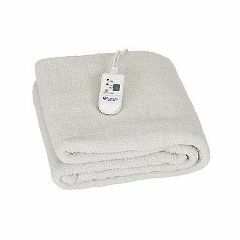 A comfortable fleece pad and table warmer in one and includes elastic corner straps to keep pad in place. Full size 30" x 72"